Where to watch fireworks on the 4th of July? Here are some places to watch fireworks shows throughout the City of L.A. Here you go North Hollywood. 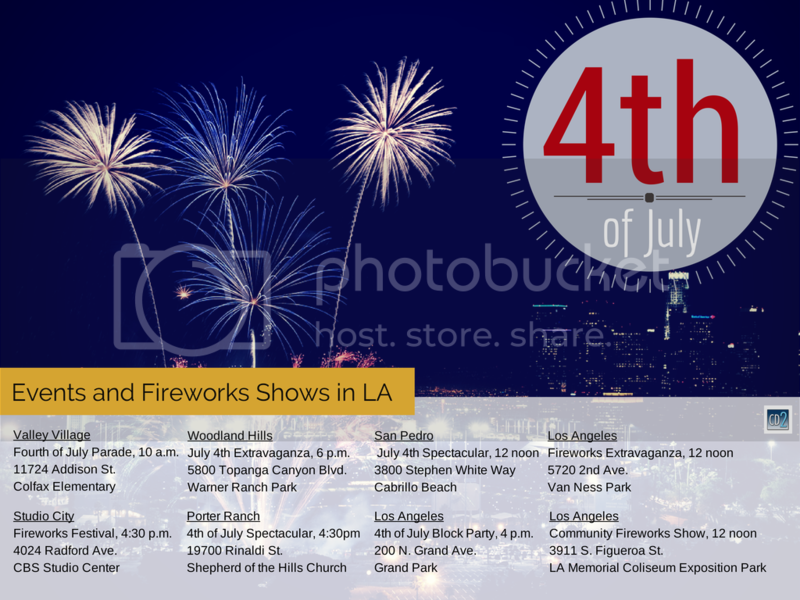 Here’s a handy infographic on some of the fireworks shows throughout Los Angeles thanks to Councilman Paul Krekorian’s office. But you can start the festivities early with the Valley Village Homeowners Association July 4th Parade and Pancake Breakfast. Just down the street from us is the Studio City fireworks show at CBS Studios. You can also take the METRO lines to the celebrations at Warner Center and Grand Park downtown. Have a safe and fabulous 4th of July! The NoHo Arts District dot Com Team.